The new 2017 Acura TLX safety features are yet another reason why our New York drivers are thrilled to get behind the wheel of this new sport sedan. From traditional features, like airbags and seat belts, to its more advanced systems, which include a Multi-View Camera, Vehicle Stability Assist, Hill Start Assist, and a collection of braking devices, the new TLX promises to keep you covered. See what we mean by reading on, and then be sure to stop by Rallye Acura in order to take the new TLX on for a test drive today! Drivers have come to expect some items as standard on the 2017 Acura TLX safety features, but Acura goes above and beyond to protect drivers. Airbags – First of all, the new TLX comes outfitted with a wide array of airbags, including dual-stage multiple threshold front airbags, side curtain airbags, driver’s knee airbags, and more, designed to ensure that you and your passengers stay encased in a web of protection. Seat belts – Likewise, the TLX is embedded with a front seat belt e-pretensioner system that promises to provide extra security in the event of a collision. Multi-View Camera – With its Multi-View Camera, the TLX offers three different views of what’s behind your car before backing up for added peace of mind. Vehicle Stability Assist – What’s more, its Vehicle Stability Assist device is able to ensure that you remain stable when you’re hurtling down the highway at the highest of speeds by maximizing traction. Hill Start Assist – Hill Start Assist makes the process of starting the TLX on an incline or decline safer by locking the brakes until your foot touches the accelerator. Advanced Braking – Finally, the TLX is embedded with a slew of braking devices—4-Wheel Anti-Lock Braking and Electronic Brake Distribution, and also Brake Assist and an Electric Parking Brake—meant to ensure dependable braking when you’re behind the wheel. Among the other TLX technology features included in the Advance Package, you’ll find advanced AcuraWatch safety features designed to help increase driver awareness and warn of potential accidents. 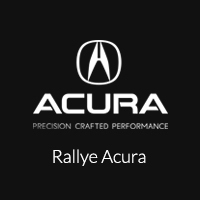 While the 2017 Acura TLX safety features are important, there’s more to a sport sedan; contact Rallye Acura today to schedule your test drive and discover the TLX in person. Once you’re behind the wheel at our Roslyn dealership, we think you’ll see why so many drivers are fans of this stunning mid-size car.